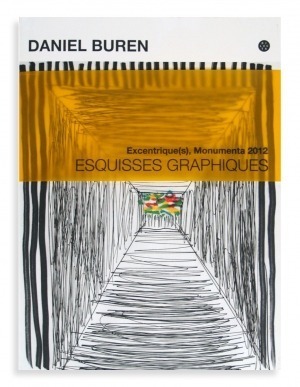 On the occasion of Monumenta 2012, Éditions Dilecta published the previously unseen sketches of Daniel Buren. 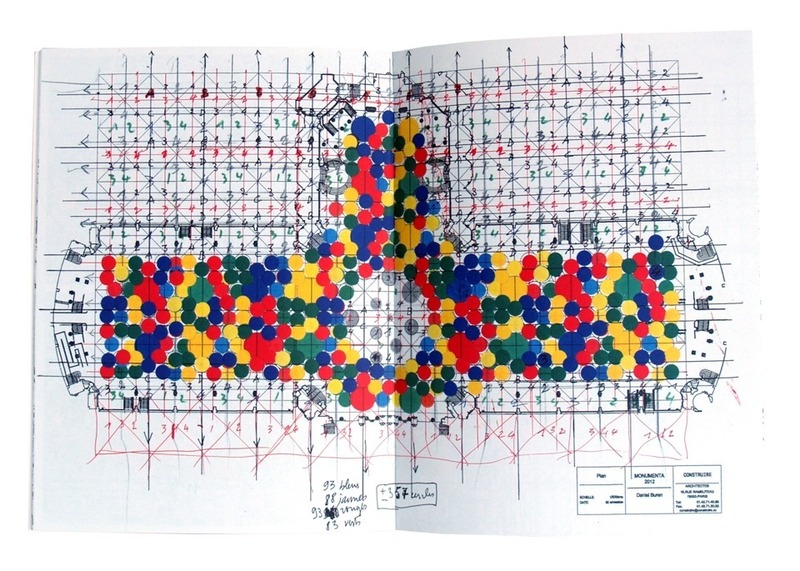 His plans, drawings and collages document the genesis of the project. From the abandoned initial ideas to the final work, we follow the creation of this extraordinary installation. These sketches allow us to understand how the artist met the challenge – by playing with light and colour – of transforming the Grand Palais. 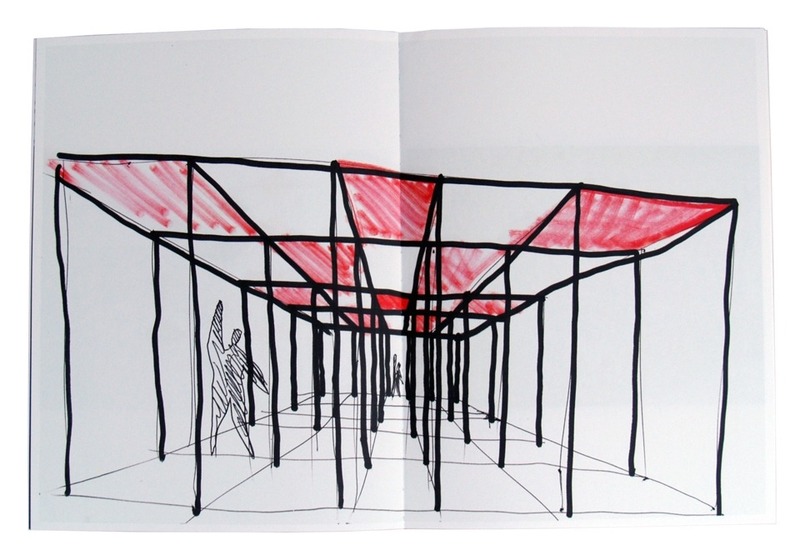 An unequalled event, Monumenta invites an internationally renowned artist every year to fill the 13,500 square metres of the Nef of the Grand Palais, 35 metres high, with a new work specially designed for the space. 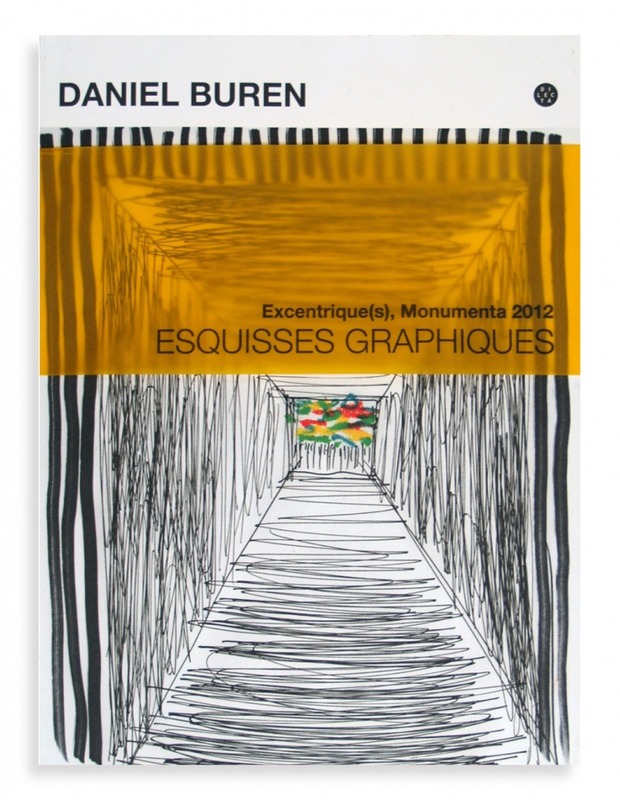 Daniel Buren succeeded Anselm Kiefer, Richard Serra, Christian Boltanski and Anish Kapoor. 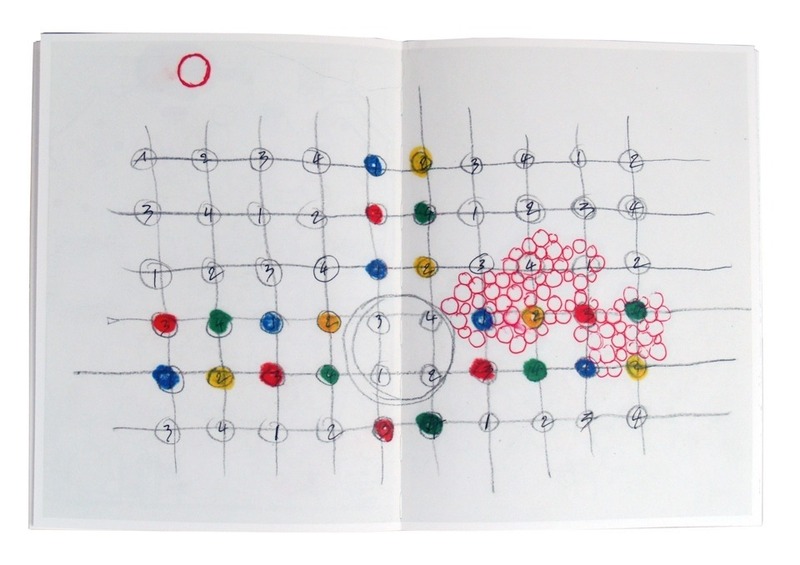 There is a limited edition of thirty copies of the book numbered from 1 to 30 and signed by the artist with the aid of a stamp created specifically for this limited edition.